One of the things that often webmasters and many times even SEO practitioners forget to optimize for is the URL structure of their websites. In this article we will discuss a variety of best practises that will help you improve the URL structure of your websites. Let’s begin by breaking down the elements of a URL into small chunks that will allow us to undestand each element’s purpose and usefulness. http:// – The Hypertext Transfer Protocol (http) is an application protocol for distributed, collaborative, hypermedia information systems. Http is the foundation of data communication for the World Wide Web (source: Wikipedia). When it comes to URL optimization the http:// is the only element that we can’t change in any way. eshop – In our example we have chosen to setup our e-shop as a subdomain. As a best practice it is recommended to only use subdomains for parts of your website that are completely different from the main site. For instance when you want to separate your e-shop from the main non-commercial website or if you want to have a blog as a part of your content marketing strategy. Note that subdomains act as individual/separated entities from the main domain (mybrand.com) and as a result they build their own link profile. So, it’s crucial to be very careful if you wish to create a subdomain for your website and dilute your link juice to two or more entities (main domain and one or more subdomains). mybrand – Is the domain name of the website. Google used to give extra weight to exact- match domains (EMDs), in other words domains that were bought with the solo purpose to rank high for the domain’s name / keyword term. That’s no longer feasible due to an algorithmic update that Google performed in 2012. So, the best practice right now if you start from scratch to build a new website is to use your brand’s related domain name instead of an exact match domain. .com – Is the website’s domain extension. The .com is the most popular domain extension. Less popular extensions are .org and .net. Entities such as universities most of the time use the .edu extension. If you are building a website for a local business, let’s say in Greece, it is recommended to use the country’s specific domain extension (.gr). 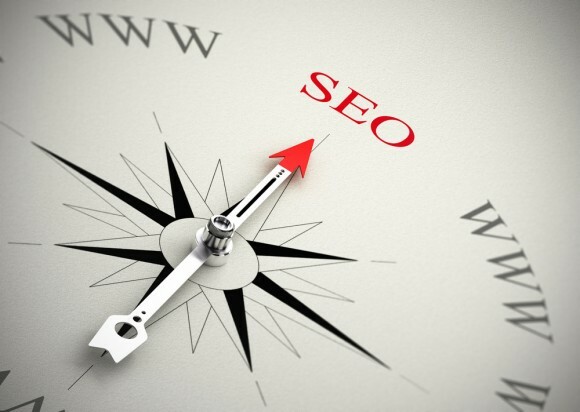 On the other hand if you have a local business that attracts an international audience (e.g a hotel in Chios), the best practice is to buy a .com domain extension and then if your site is multilingual to utilize geo location targeting for each website’s language through Google’s webmaster tools. category – Is the website’s subfolder. In order to be useful for the user you must use a descriptive name for all of your website’s subfolders. In our example if you sell online both dresses and skirts, you must have two different pages one for each category. It is possible to have multiple levels of categories. For example if your e-shop offers both clothes for men and women you can have one category for men and one category for women and then a sub category for specific type of clothes (e.g dresses). product – This is the actual page, so in our example the page name will be the product’s name. Be descriptive and as short as possible without words such as a, for, the. Have important keywords placed at the beginning of the URL. Not repeat words: Try not to repeat keywords between category and product (page) name. Use hyphens instead of underscores, as this is the way that Google and other search engines prefer to crawl and index URLs. Must not have capital letters. So, do not CAPITALIZE keywords in URLs. Not be dynamically generated, because this can lead to duplicate URLs due to session ids, sorting options, etc. The best practice so as to fix duplicate URLs issues is to place a rel canonical tag to each non-canonical (duplicate URL) version of your website’s pages. In conclusion, URLs cleaning and optimization can increase usability for users (humans) since it allows them to decipher their URLs quicker and with ease. At the same time URL optimization will help search engines (robots) crawl, index and rank your website’s pages higher due to the enhanced on page optimization that you have performed.